13-year-old Ruth Ama Gyan-Darkwa has become the youngest student ever to receive admission to the Kwame Nkrumah University of Science and Technology (KNUST), one of Ghana’s most prestigious government universities. The young girl born on May 29, 2004, will be pursuing a bachelor of science (Bsc) degree in mathematics. According to a report by The Chronicle, Ruth who hails from the town of Berekum, in the Brong Ahafo Region, is born to Mr. and Mrs. Kwadwo Gyan-Darkwa. The teenage girl is said to have attended the Christ Our Hope International school. She later went on to attend junior high at Abraham Lincoln International School, where she ended up taking the Basic Education Certificate Examination (BECE) held at the Justice International School Asuafua, in the Ashanti Region. 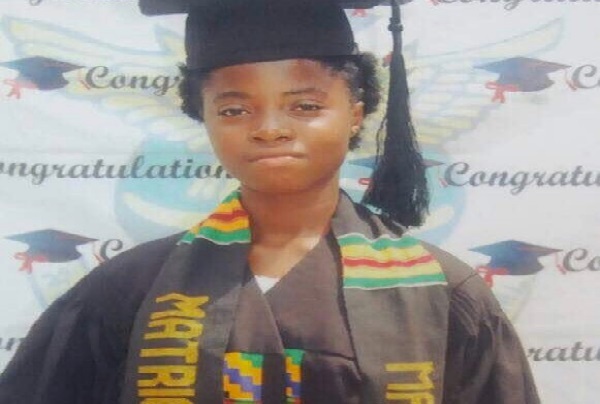 Her father, Mr. Kwadwo Gyan-Darkwa, also revealed that his daughter received admission into St. Louis Senior High at the tender age of 10, having been offered General Science. He said she later went on to complete her senior high school studies at the age of 12.